Pets can bring joy and happiness but also dirt, hair and dander -- all of which can ruin your bedding. It isn’t always practical to wash your comforter, especially if it is filled with down or is a large size that requires a super-sized washing machine, so it is important to protect it from the dog’s muddy paws or the cat’s sharp claws. Follow a few easy steps to protect your bedding and you may not need to ban your furry friends from the bedroom. Train your pets to stay off the bed. It is generally easier to accomplish this if you start when your pet is young, and never allow him on the bed at all. 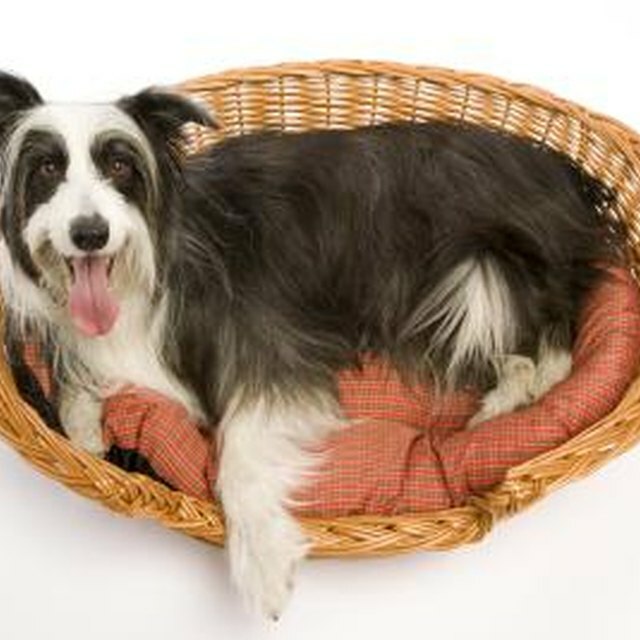 Offer your pet his own comfortable sleeping area, such as pet bed. Close the bedroom door to keep your pet off the bed. If you cannot keep the dog or cat off the bed, keep him out of the room. Cover the comforter with a washable [duvet cover](https://society6com/duvet-covers?utm_source=SFGHG&utm_medium=referral&utm_campaign=3056). Durable cotton or cotton blend covers work best, as they hold up to your pet’s abuse and multiple washings. Cover the comforter while your pets are on the bed. If the family pet absolutely must have a snuggle, cover your comforter with a washable blanket, sheet or throw to protect your bed from dirt and hair. Cover your comforter with a coordinating fabric shower curtain during the day if your dog or cat is going to be on the bed. Some fabric shower curtains have a plastic backing that offers extra protection for your comforter. Use a protective bed cover over your bed. These protective covers are designed with pets in mind, and fit securely over the bed, comforter and pillows. Usually made from a durable cloth, and sometimes plastic-backed fabric, these covers can stand up to any abuse your pet can offer.